“How long have you been working out? What prompted you to start? I’ve been working out and running since June 23rd of 2011. I was never one off the people growing up that you say is “in shape”. In fact, I was a really overweight kid and that extended into adulthood for me. In 2011, my second marriage fell apart, and my father passed away. I was 33 years old, emotionally broken and physically overweight—and not just a little overweight. I was 350 pounds on a 5’7” frame and I didn’t think I was going to make it to see 40 or watch my son grow up. I knew that something had to change. I started to diet and workout slowly. After a while I was at the gym and I decided to hop on the treadmill to try and do some cardio. I was still at 300 pounds, and I wanted to see how far I could “run.” I was crushed. I couldn’t even slowly run a quarter mile. I went three miles that day and it took me an hour, but a funny thing happened: I loved it. I found a piece of me that I never had before, and I wanted to do it more. I decided then, that despite the looks at the gym or the park, I was going to push myself as far as my body would take me. 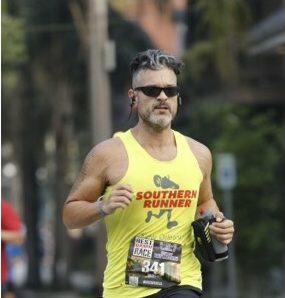 Five years later I’ve completed every distance from a 5K to 50 miles, and I’m currently training for a 100-miler. What’s the most rewarding part of fitness for you? The most rewarding part is knowing that anything is possible for anyone. I was a big kid, who turned into an overweight adult—I was morbidly obese by the time I hit 30. 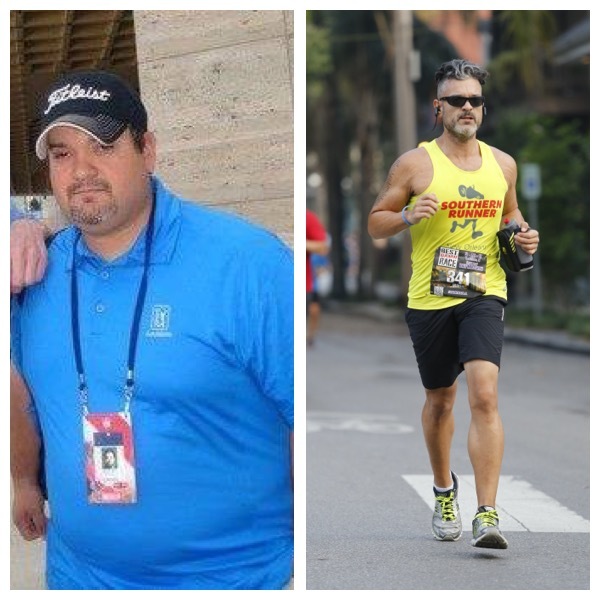 To be able to go from that to the most unlikely runner and fitness profession I know has been one of the greatest experiences of my life. It reminded me that with enough grit and work, we can be anything we want to be. That is the message I hope rubs off on my 10-year-old son and one-year-old daughter. You don’t have to be blessed with great genes to achieve something extraordinary. I was north of 325 pounds in June of 2011—I think I was 350 pounds, but it had been a while since I had gotten on a scale. I’m now 165 pounds and still losing weight. My journey has been a long process of trial and error. I had so much weight to lose that I really only started to notice once I got under 200 pounds because up until recently, I was still considered obese. Someone asked me once what I want out of life, and my answer was really simple: I want more. I think if I stopped wanting more I would fall back into my old way of life. I constantly challenge myself to look better, and run longer or faster. I set goals, and then I put my head down and work to achieve them.